We’re releasing our second show inside the same month…it’s a Christmas miracle! 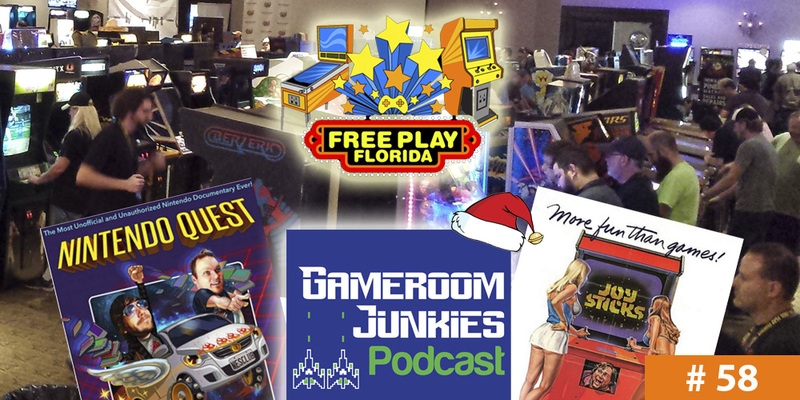 In this episode of the podcast, Preston and Patrick debrief and talk all about their time in Orlando at Free Play Florida! Between the games, the people, and the guests, it was so much fun! Our interviews this month include two fantastic filmmakers. Patrick took some time out of his busy weekend at Free Play Florida to interview the director of the low budget ’80s classic Joysticks, Greydon Clark. Also in this episode, Preston calls up Rob McCallum, the director of the recently released Nintendo Quest documentary. Gameroom updates and an announcement about a new guest for SFGE 2016 round out our holiday episode. Hope you enjoy!